Saint Patrick’s Day is generally not a card holiday in my experience, so I thought I’d try a project more relevant to the holiday: coasters for beer! Full instructions and template after the jump. 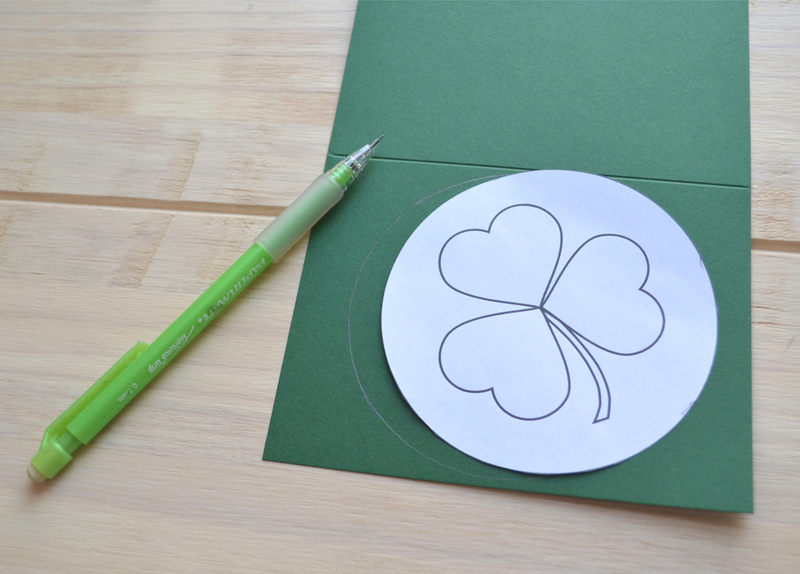 Begin by cutting out a circle from the template and tracing around it on your cardstock. 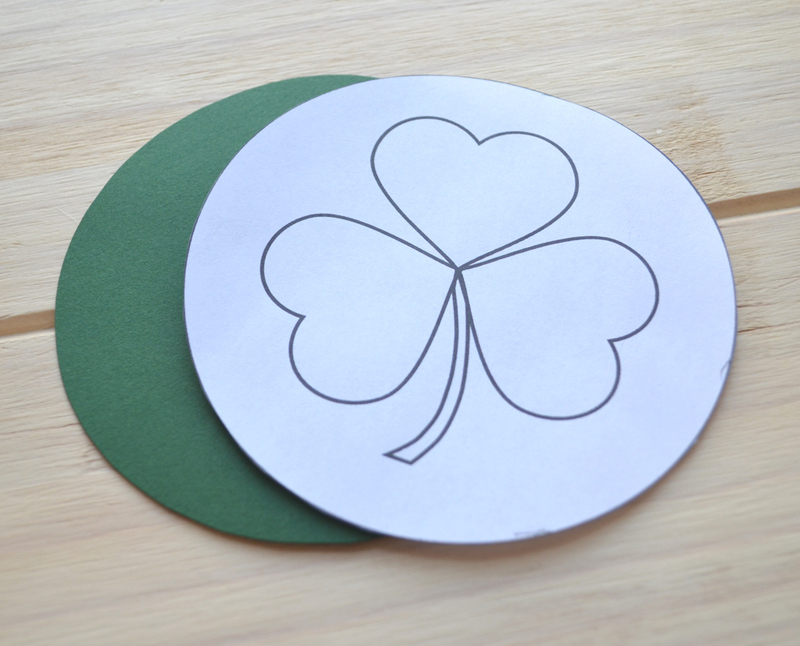 Cut out the circle of cardstock and line it up with the paper template circle. Tape it together so it stays in place. 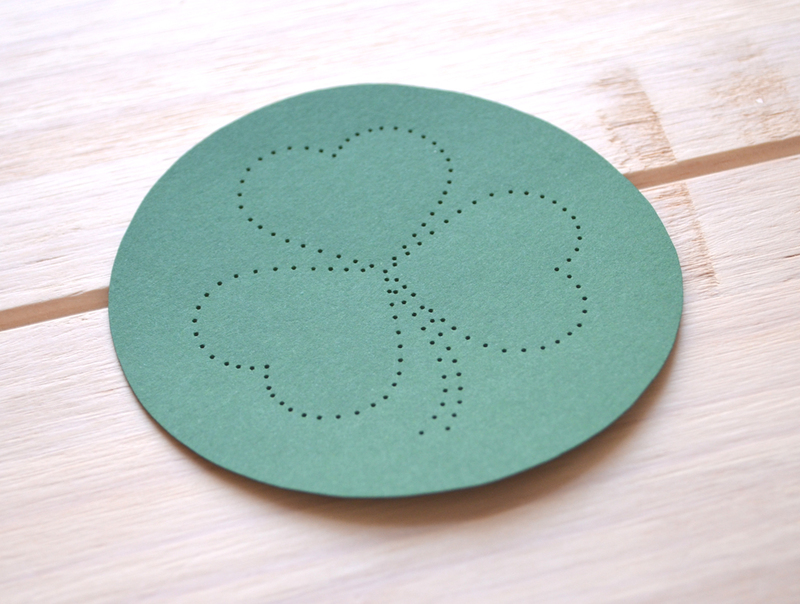 Start punching holes every half centimeter or so along the lines, making sure you punch a hole at each pivot point (the center of the shamrock, the tip of the “heart,” etc). Once you finish punching all the lines, remove the template gently. 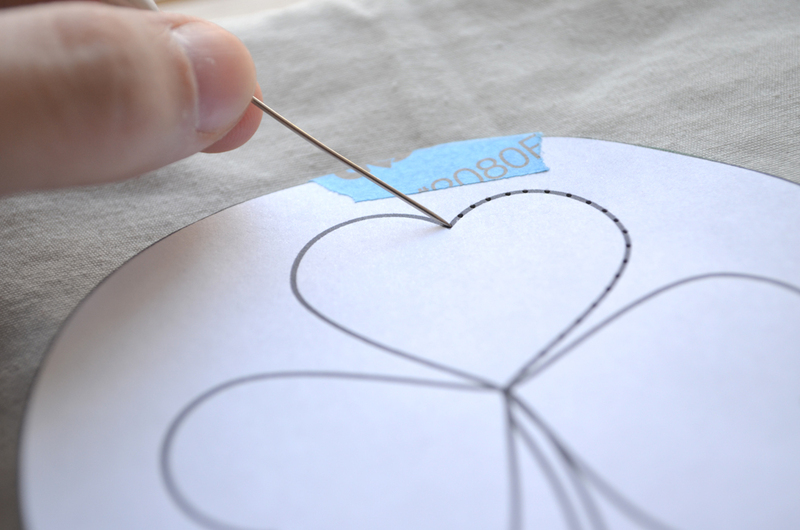 Begin embroidering the lines, in and out, so that you have a dashed line. Make another round to fill in the gaps and finish the outline. 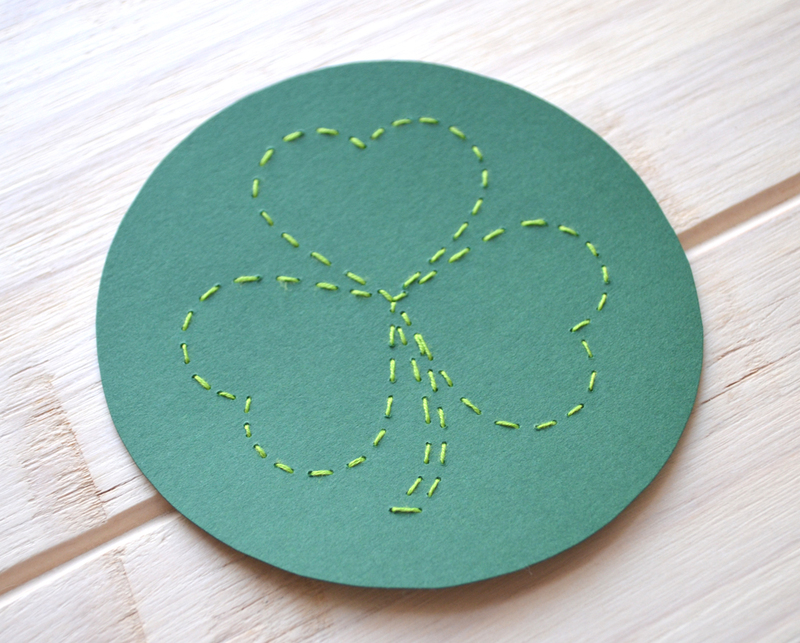 Alternately, you can use a back stitch to fill in your line. 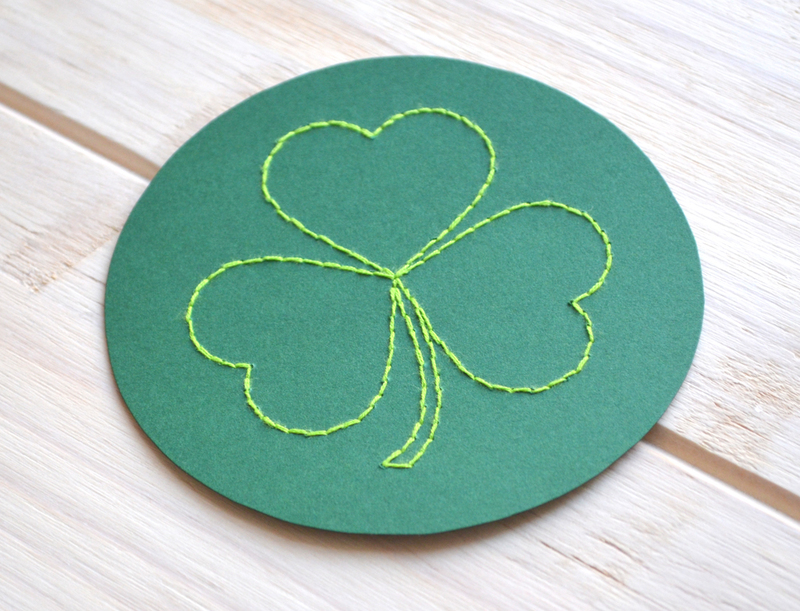 Once the embroidery of the shamrock is complete, you can glue another layer of cardstock to the back if you would like to cover up the “wrong” side of the embroidery and to give your coaster a bit more heft.